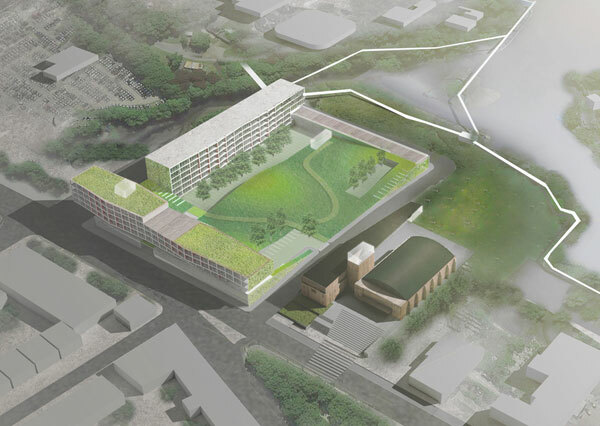 CDR Studio’s Finalist Stage Proposal for The New Rochelle Armory & Gateway Competition imagines a broader urban-scale rethinking of the precinct adjacent to the northern perimeter of New Rochelle’s downtown district. Reconfiguration and creation of street connections allow for the overlapping of residential and commercial occupations. 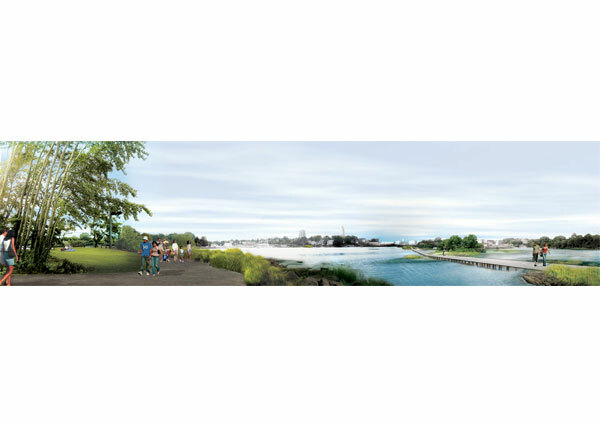 Our proposal is not predicated upon the realization of this re-imagined urban plan, but it allows for new possibilities which could profoundly impact New Rochelle’s urban fabric and waterfront. 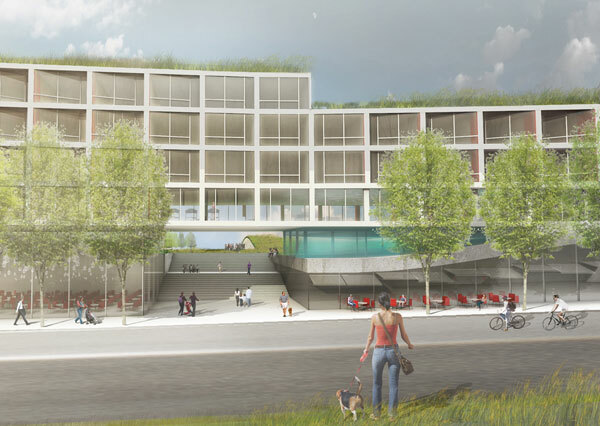 Rather than focus on a grand architectural gesture, CDR Studio conceives of the site as an extended field of linkages to the New Rochelle waterfront. The scheme consolidates residential and hotel development on the perimeters of the City Yard property with commercial use along Main Street. 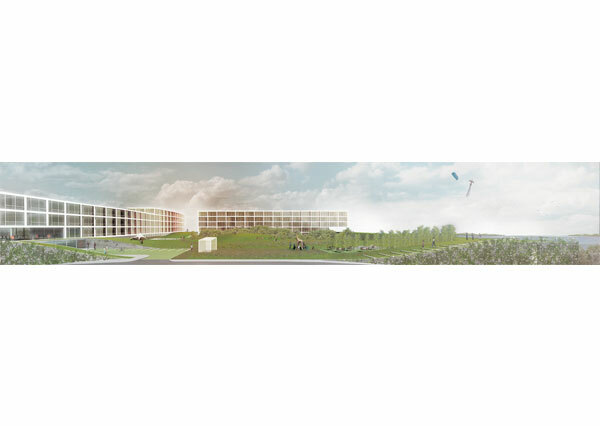 Development at the site then allows for the remainder of the parcels to be given over to public park land. 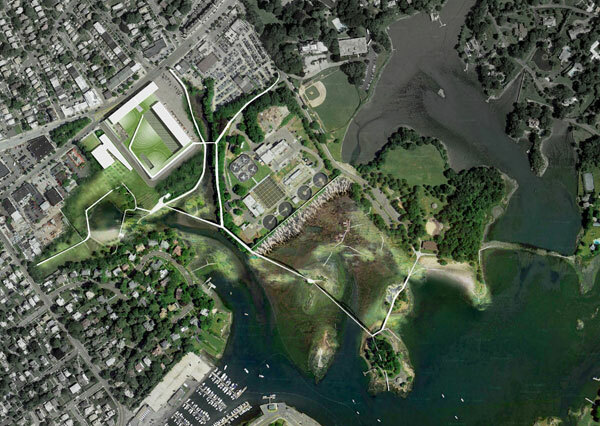 The current site provides neither views nor access beyond the fortified armory to the picturesque Five Island Park and Echo Bay beyond. 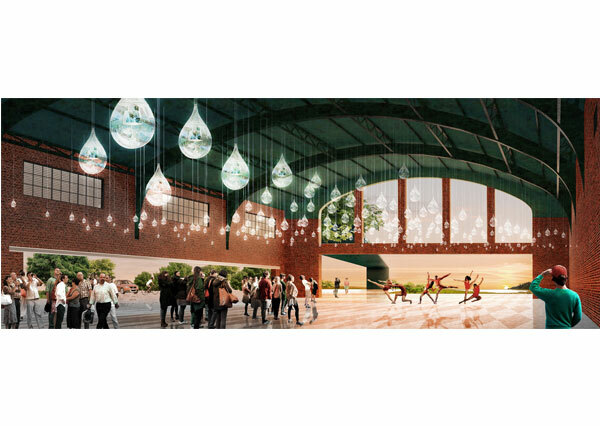 The Armory Portal breaks down barriers between building and landscape to promote a new visual and physical connection between New Rochelle and the bay. 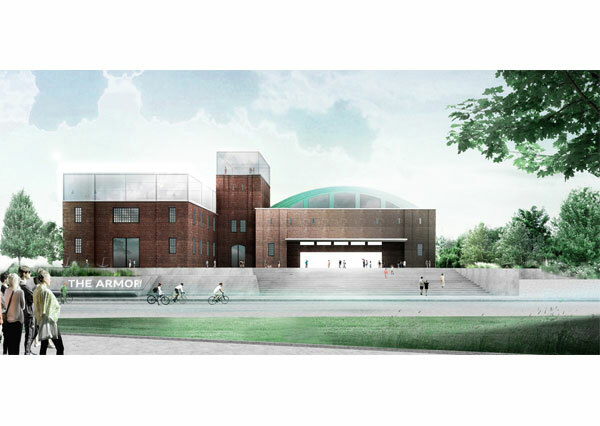 The Armory itself will be restored to its original grandeur. Environmentally sensitive improvements of the building envelope are done with respect to the original finishes and with the goal of maximum energy efficiency. The building becomes a shared room of passage from the city to the park. 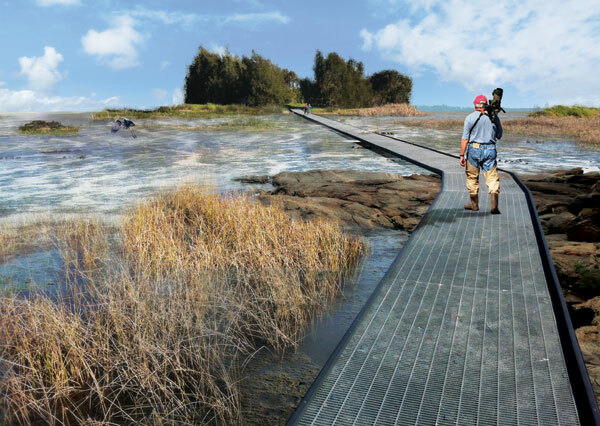 An extensive network of paths, some robust and permanent, and others delicate and floodable, will connect The Armory Portal to Five Island Parks. 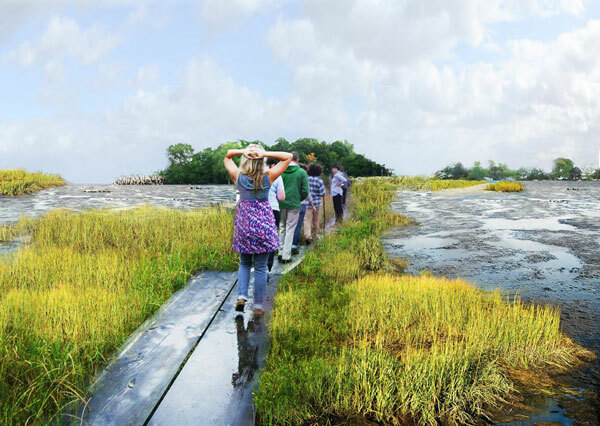 Surface trails link to the waterfront and lead visitors through island trails and along sandy beaches.